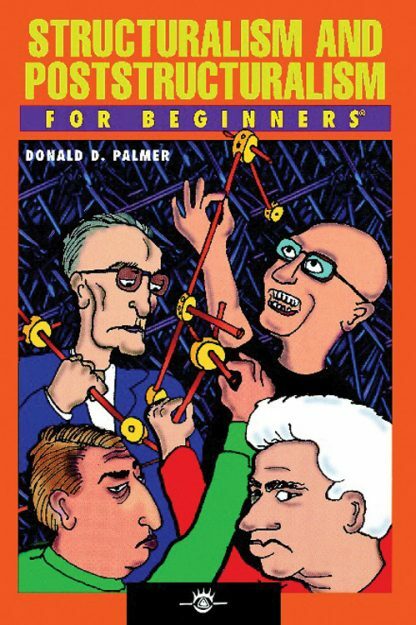 Thus begins Don Palmer�s Structuralism and Poststructuralism For Beginners. If Nobel or Pulitzer ever made a prize for making the most difficult philosophers and ideas accessible to the greatest number of people, one of the leading candidates would certainly be Professor Don Palmer. From his Sartre For Beginners and Kierkegaard For Beginners to his Looking at Philosophy, author/illustrator Don Palmer has the magic touch when it comes to translating the most brutally difficult ideas into language and images that non-specialists can understand. �In its less dramatic versions,� writes Palme, �structuralism is just a method of studying language, society, and the works of artists and novelists. But in its most exuberant form, it is a philosophy, an overall worldview that provides an account of reality and knowledge.� Poststructuralism is a loosely knit intellectual movement, comprised mainly of ex-structuralists, who either became dissatisfied with the theory or felt they could improve it. The book concludes by examining the postmodern obsession with language and with the radical claim of the disappearance of the individual � obsessions that unite the work of all these theorists. Donald Palmer is Emeritus Professor of Philosophy at the College of Marin in Kentfield, California. Currently he is Visiting Assistant Professor of Philosophy at North Carolina State University in Raleigh, North Carolina. He is also author of Sartre For Beginners, Looking at Philosophy, and Does the Center Hold?.